Wait and hope for and expect the Lord; be brave and of good courage and let your heart be stout and enduring. Yes, wait for and hope for and expect the Lord. Trust the Lord! Be brave and strong and trust the Lord. Wait for the LORD’S help. Be strong and brave, and wait for the LORD’S help. Wait with hope for the Lord. Be strong, and let your heart be courageous. Yes, wait with hope for the Lord. Trust in the Lord. Have faith, do not despair. Trust in the Lord. 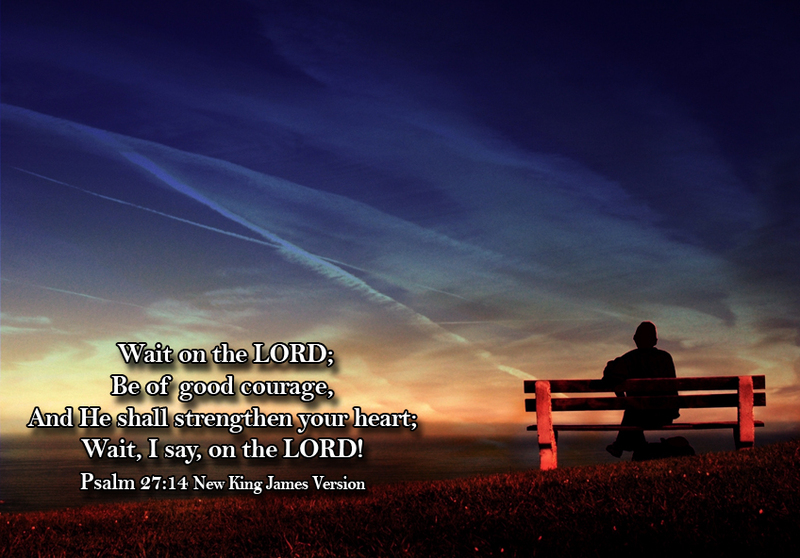 Wait for the Lord; be strong and courageous. Wait for the Lord. Stay with God! Take heart. Don't quit. I'll say it again: Stay with God. Wait for the Lord's help. Be strong and brave, and wait for the Lord's help. Wait for the Lord. Be strong and don't lose hope. 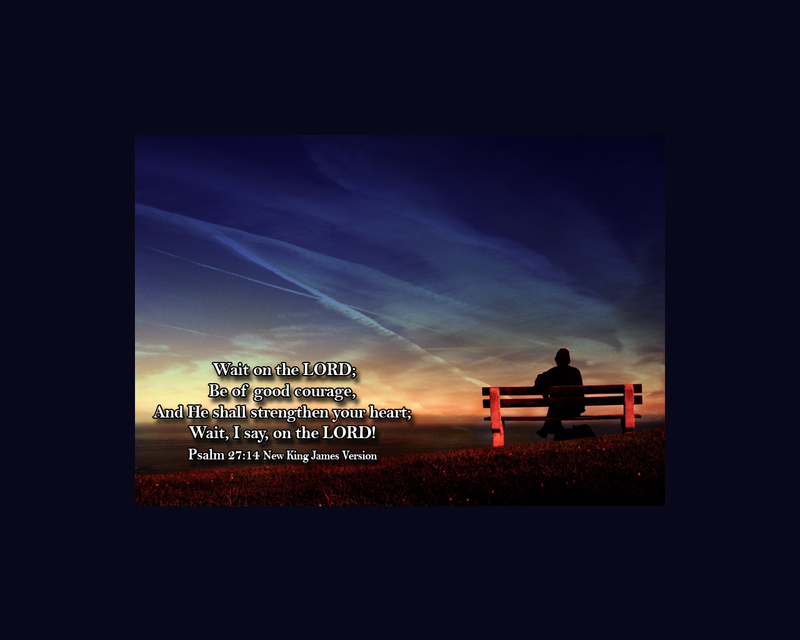 Wait for the Lord. Wait for the Lord. Be strong. Let your heart be strong. Yes, wait for the Lord.